All items are inspected before leaving our warehouse; however we do understand things happen on the way so if your package is damaged or if you ordered the wrong products please let us know within 48 after receiving the items and we will send you a return label for you to return the products. Once those items are received we will send you the correct items or issue the proper credits minus shipping charges. We at Pine Cigars understand the need for coupons; we do send coupons often via email or through our fan page in Facebook and Twitter. Please be advised that the coupons are only valid for when you place an order online and cannot be used on prior purchases. Coupons cannot be used with any other offer and coupons cannot be use for items on sale or with items that have quantity discounts. The entire content included in this site, including but not limited to text, graphics or code is copyrighted as a collective work under the United States and other copyright laws, and is the property of Cheap Little Cigars. 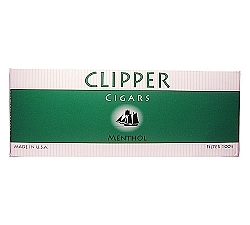 The collective work includes works that are licensed to Cheap Little Cigars. Copyright 2011, Cheap Little Cigars ALL RIGHTS RESERVED. Permission is granted to electronically copy and print hard copy portions of this site for the sole purpose of placing an order with Cheap Little Cigars or purchasing Cheap Little Cigars products. You may display and, subject to any expressly stated restrictions or limitations relating to specific material, download or print portions of the material from the different areas of the site solely for your own non-commercial use, or to place an order with Cheap Little Cigars or to purchase Cheap Little Cigars products. Any other use, including but not limited to the reproduction, distribution, display or transmission of the content of this site is strictly prohibited, unless authorized by Cheap Little Cigars. You further agree not to change or delete any proprietary notices from materials downloaded from the site. This site and the materials and products on this site are provided "as is" and without warranties of any kind, whether express or implied. To the fullest extent permissible pursuant to applicable law, Cheap Little Cigars disclaims all warranties, express or implied, including, but not limited to, implied warranties of merchantability and fitness for a particular purpose and non-infringement. Cheap Little Cigars does not represent or warrant that the functions contained in the site will be uninterrupted or error-free, that the defects will be corrected, or that this site or the server that makes the site available are free of viruses or other harmful components. 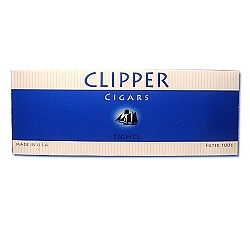 Cheap Little Cigars does not make any warranties or representations regarding the use of the materials in this site in terms of their correctness, accuracy, adequacy, usefulness, timeliness, reliability or otherwise. Some states do not permit limitations or exclusions on warranties, so the above limitations may not apply to you. Cheap Little Cigars shall not be liable for any special or consequential damages that result from the use of, or the inability to use, the materials on this site or the performance of the products, even if Cheap Little Cigars has been advised of the possibility of such damages. Applicable law may not allow the limitation of exclusion of liability or incidental or consequential damages, so the above limitation or exclusion may not apply to you. Your use of this site shall be governed in all respects by the laws of the state of California, U.S.A., without regard to choice of law provisions, and not by the 1980 U.N. Convention on contracts for the international sale of goods. 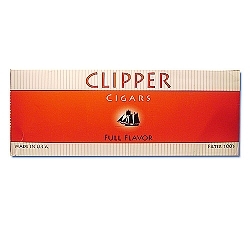 You agree that jurisdiction over and venue in any legal proceeding directly or indirectly arising out of or relating to this site (including but not limited to the purchase of Cheap Little Cigars products) shall be in the state or federal courts located in Los Angeles County, California. Any cause of action or claim you may have with respect to the site (including but not limited to the purchase of Cheap Little Cigars products) must be commenced within one (1) year after the claim or cause of action arises. Cheap Little Cigars's failure to insist upon or enforce strict performance of any provision of these terms and conditions shall not be construed as a waiver of any provision or right. Neither the course of conduct between the parties nor trade practice shall act to modify any of these terms and conditions. Cheap Little Cigars may assign its rights and duties under this Agreement to any party at any time without notice to you.